More Gold Diggin is the amazing sequel to one of the most popular 3D video slot machine by Betsoft, Gold Digger. This game is themed around 2 of the main characters of the last game with a great addition. These two characters are the two gold miners who live to dig for gold to get rich as for the additional character, it is the funny and exciting beaver who joins them in their adventure to have fun. Players are invited to join these three for a chance to enjoy a fun experience and in order to be able to claim their own share of the gold they dig. The game depicts the theme it is trying to convey through the wonderful 3D visuals that the game presents as well as the graphics of the interface itself. This is why players will see that the reels of the game are found inside the gold mine with the two gold diggers on the two sides of the reels and wooden planks all around. 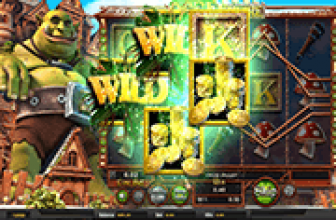 As for the symbols that appear on the 30 lines and the five reels of the video slot, they include dynamites, explosive barrels and precious stones and gems that are found at the gold mine. These include diamonds, black stones, green emeralds, ruby stones and much more. All of these precious stones reward players differently, depending on the number of stones and the stone itself. The biggest paying stone is none other than the diamond stone that can give players up to 2500 coins. They can claim this amazing amount of payouts by getting 5 diamond symbols on any of the paylines that they have activated. 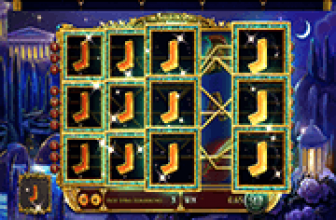 Players can view the rest of the payouts that they can earn through this 3D video slot by opening the paytable of the game that would show them each symbol, its payouts as well as any bonus icons or special features that the game offers. 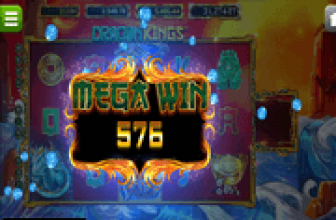 Players can open this paytable by clicking on the View Pays button. The Dynamite symbol is wild. This means that whenever this icon lands on the reels of the game, players know that they have a better chance at claiming a payout as this symbol would substitute for any of the other icons in order to help players get paid by forming a better and a higher paying combo. The game also has a free spins feature that can be triggered by players who get three dynamite barrels on the first three reels. Players would get to spin the reels of the game for free for a number of times, these free spins also come with up to a 3x multiplier. Players will be able to claim more free spins on the video slot by getting more barrels on the first three reels during the free spins round itself.